Dr. Martin Luther King Jr. was a paradigm for the effective and positive use of the First Amendment. While he may be gone, his legacy has endured and, in his time, Dr. King made great strides in bringing awareness to and speaking out against the racial injustice that plagued 20th century America. Growing up and continuing to live in highly segregated areas of the South, Dr. King was certainly no stranger to discrimination. At that time, the idea of separate but equal was largely ingrained and accepted within American culture until the overturning of the Supreme Court’s Plessy v. Ferguson case and by the landmark decision made in Brown v. Board of Education in 1954. After that, attitudes throughout the nation began to shift, but the roots that had been implanted within society would be slow to recede, leading to conflicts and protests in the years to come. In fact, about a year later, Dr. King found himself in the middle of the Montgomery Bus Boycott. He acted as the protest’s primary spokesperson, and by utilizing his rhetorical ability earned through his years of getting a doctorate in divinity, he declared a vocal and public opposition to the continuing problem of segregation. This was because of a conviction held by Dr. King, “Injustice anywhere is a threat to justice everywhere.” Dr. King’s latter efforts like the march from Selma to Montgomery and most notably the March on Washington embodied the effectiveness of peaceful protest and social progress made through the freedom of speech. 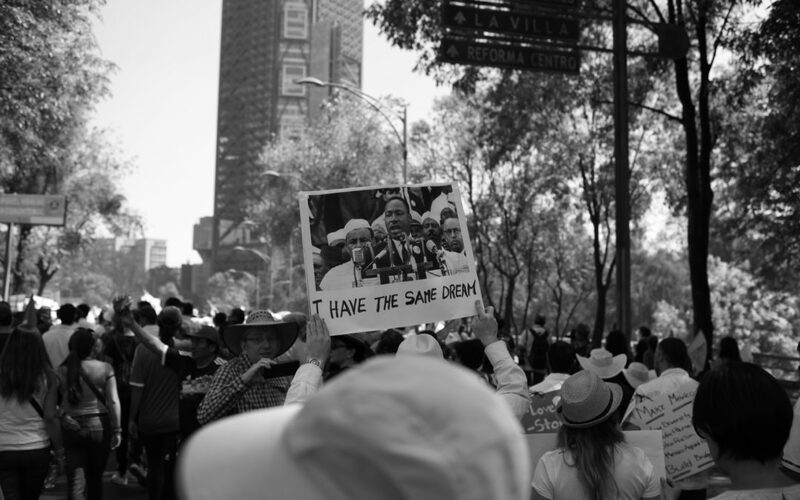 Together, these events would ignite political discourse throughout the country, serve as turning points in the history of American Civil Rights, and influence the creation of the Civil Rights Act of 1964. Through the use of civil disobedience and the first amendment, Dr. King made incredible progress in the battle against racial injustice. Today, we live in an era where societal racism still exists, but our solution to the problem has changed radically. Where Dr. King’s solution was found in the exercise of the first amendment, many citizens have decided upon just the opposite. There seems to be a belief out there that we are no longer capable of making substantial progress through social discourse and non-violent protest. Instead, we have begun to turn more towards relying on the government’s passing of legislation. Free speech has been put under fire. Many surrounding members of Western Civilization, such as Canada and the United Kingdom, have already put laws in place restricting speech and expression, like Canada’s 1985 Criminal Code which under section 319(2) makes anyone who promotes hatred towards another group liable to two years of imprisonment. Canada has also reaffirmed more legal action against what ideas can enter their country and what their border security may deem hateful propaganda in their Memorandum D9-1-15 in 2017. Likewise, calls for legislation have begun to crop up in the United States surrounding the First Amendment and what people can and cannot say. These discussions are dangerous as we seem to toe the line between retaining our freedoms and allowing the government to intervene further. With all that said, it also seems that offensive or hateful speech legislation only raises more questions than it seeks to answer. For instance, how do we objectively determine hate in someone’s actions? Is that something we could ever know beyond a reasonable doubt? Furthermore, if we give the government the ability to determine what is hateful, what is to stop them from censoring the public and deeming valid criticism against them offensive? During the 1950s, I’m sure many citizens and politicians in the South would have deemed Dr. King’s words offensive, just as Southerners believed that the abolishing of slavery would threaten their way of life in the 19th century. Creating legislation against our freedom of speech would be the first step on a slippery slope that could lead us back into the government we once sought to free ourselves from. Now, what we must realize is that the First Amendment and free speech by nature work for both sides. Together, they must allow for offensive speech, but at the same time ensure that the common person is still able to maintain their voice within society and within the nationwide discussion. While it is unfortunate, we don’t live in a utopia where we could have it both ways, more recent attempts to do so have only opened the door for misplays in the justice system. Diversity of thought is important for growth in our society and something like the aforementioned Canadian Memorandum allows for the banning of certain pieces of literature based on their “offensive” content. Without discourse and diversity of thought, it is very possible that we could continue down a path of ideological polarization and progressively become more divided and more radical in thought. There have also been more trivial cases and claims of offensive speech legislation stemming from the United Kingdom’s 2003 Communications Act. In 2016, internet comedian Count Dankula was fined and threatened with jail time for posting a video of him teaching his girlfriend’s pug to do the Nazi salute. While it is admittedly a probing and instigating action, it should not be up to the government to declare that something is offensive when that cannot be a completely whole representation of the population. The question of how we would define what is offensive is too subjective to objectively legislate against. In the video itself, Count Dankula even states that the content is not a reflection of his beliefs, but that didn’t seem to help him whatsoever. The rights protected by the First Amendment give each United States citizen a chance to experience diversity of thought and the ability to be exposed to new ideas. Without it, we will continue to see a trend where the public avoids venturing beyond their own ideological bubble. In light of these discussions, the recent holiday celebrating the life of Dr. Martin Luther King Jr., and the beginning of Black History Month, it is relevant and important to not only acknowledge his tremendous leadership in the face of adversity and his famous oratorical ability, but to also reflect upon his attitude and his utilization of the First Amendment that led him to make great strides during the Civil Rights Movement. I believe that Dr. King’s actions have the ability to provide society hope and re-instill a certain vigor within our current democracy, one that has been noticeably absent. While we still take part in protests and, to an extent, discussion, we are too eager to lose the ability to listen to the other side and attempt to rationalize our own beliefs in favor of believing that we are right. Using the First Amendment as a tool to start discussion within society leads to a place where Americans can come together and exist peacefully alongside their differences. American citizens are far too tempted nowadays to lean into the government and many of us have given up on the power of the people, thinking that the only way to find a solution is through pushing legislation. When, in reality, Dr. King showed us that our voices are powerful, and that the First Amendment serves as a beacon to what our democracy can accomplish and stimulate to oust injustice in our society.